More than thirty years of experience in public relations, communications, marketing, and association management, with emphasis on assessment, facilitation, planning and strategy development. Proven track record in evaluating and developing effective strategies for clients and bringing together diverse groups of people to achieve common goals. Knowledge of how nonprofit organizations operate through serving as nonprofit board leaders, advisors to Boards and, in Jane's case, as an Executive Director. Passion for helping organizations and individuals succeed. Our ultimate goal at JBL Strategies is for our clients to achieve long-term sustainability. We collaborate with them to determine their needs and desired outcomes, and then work with them to develop a process for execution. Our focus is on assisting clients to set a clear strategic direction, engage stakeholders and communicate effectively to achieve projected results. The emphasis is always on clarity, consistency and relevance. We also ensure that when a project is over, the client has a plan for execution and accountability and we continue to be available to answer questions that may arise. 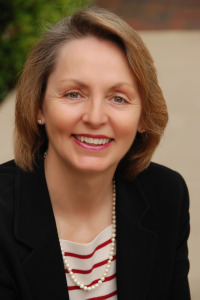 Jane Baxter Lynn is principal and founder of JBL Strategies. Her mantra is clarity, consistency and relevance. An experienced strategic planner, facilitator, coach and communications strategist, Jane has over thirty years in communications, marketing, business development, and association & nonprofit management globally. She has worked in leadership positions for Fortune 500 companies, industry and nonprofit associations, quasi-government organizations, and as a strategic business advisor. She has lived and worked in South Africa, Europe, and the United States. Jane is co-developer of Strategic Leadership Essentials™, a unique leadership training program for nonprofits that integrates leadership development, strategy and communications to encourage stronger, more effective leaders. Jane’s passion is in helping people of all ages to achieve clarity and a forward path. She currently volunteers as head of the Women Communicators of Austin’s mentor program, for which she received the WCA Gene Waugh Mentor Award in 2014. She also serves on the U.S. Green Building Council (USGBC) Texas Chapter Board as chair of the Communications Committee and member of the State Advocacy Committee; is on the Wine & Food Foundation of Texas Advisory Council; is a National Wildlife Federation Habitat Steward, and is a longtime volunteer/spokesperson for Canine Companions for Independence. Specialties: communications strategies, executive coaching, facilitation, mentoring, nonprofit management, partnership building, strategic planning. For professional references, please visit Jane's LinkedIn profile. A dynamic speaker, trainer and presenter, Craig Snook employs clarity, innovation and humor to deliver workshops to diverse audiences at all organizational levels. He has a passion for helping leaders grow and develop through proven techniques to strategically lead their organizations. With over three decades of experience in global leadership and strategy development in both the for-profit and nonprofit sectors, he is skilled in leadership coaching and remote team management with proven success. His involvement in leadership development has ranged from individuals to senior management teams at the Dow Chemical Company. As a consultant with Executive Service Corps of Houston, an organization designed to promote best management practices in nonprofits, he delivered strategic planning and organizational assessment skills in the community. Craig is a Board Member and past Board Chair of EcoRise Youth Innovations, Board Chair at VELA, and past Board Member of the Caporal Assistance Network, three Austin area nonprofits. Jane Baxter Lynn accepting the Women Communicators of Austin's 2014 Gene Barnwell Waugh Mentor Award for her commitment to mentoring.